Even if the words toolpusher, roughneck, monkeyboard, or mud man aren’t familiar, it’s probably clear that this aging bit of oil field equipment, known as a Christmas tree, has little to do with the fragrant pine and fir trees we bring into our homes for the holidays. Still, the quite modern array of valves, spools, and fittings, designed to control the flow of fluids into or out of a well, reminded oil and gas field workers of old-fashioned, decorated Christmas trees: and so it was that the name took hold. Whether Charles Follen would have appreciated the connection between the improbable oilfield tree and the more traditional Tannenbaum he introduced to New England is impossible to say. Raised in Germany, Follen immigrated to America and became Harvard’s first German instructor in 1825. By 1832, living in Cambridge with his wife and two-year-old son, he decided to recreate the German Christmas customs of his childhood and youth. In the woods near his home, he cut a small fir, decorated its branches with dolls and candy-filled cornucopias, and illuminated it with candles. “It really looked beautiful; the room seemed in a blaze, and the ornaments were so well hung on that no accident happened, except that one doll’s petticoat caught fire. There was a sponge tied to the end of a stick to put out any supernumerary blaze, and no harm ensued. Over time, trees like the one introduced by Follen changed. Candles gave way to electric lights, imported glass baubles replaced paper chains, and peppermint canes supplanted candy-filled cornucopias. Still, the pine, the fir, and the spruce remained the Christmas trees of choice: good trees being defined by their conical shape, even branches, and straight trunks. Finding such a perfect tree was possible in New England. In Texas, it was more difficult, particularly in the days before Christmas tree farms and modern transportation. The native Ashe juniper, also known as Texas cedar or mountain cedar, became a more-than-adequate substitute for early settlers. Even today, hill country families harvest nicely-shaped Christmas cedars from their land, keeping with long Texas tradition. Farther west and south, even cedar grows sparse. Ever-inventive, a few lucky Texans harvest the stalk of the agave, or century plant, for drying and decoration. Impressive in its natural state, the plant’s stalk can grow to as much as thirty feet, making it especially appropriate for large spaces. If there isn’t an agave handy, and cedars are in short supply, Texans in places like the Panhandle always can turn to the tumbleweed. They’re often lighted and hung from trees as yard ornaments, and more than a few “snowmen” have been built from them, but the best stories revolve around tumbleweed Christmas trees. Red Steagall, well-known story-teller and cowboy poet, tells one of the best, and tells it in song. There are Christmas trees in Notrees, Texas, and not all of them are in the oil patch. and it come due once a week. west of Odessa, near a town they call Notrees. he intended Christmas to be just what we believed. he brought back a tumbleweed. and a poor kid’s dream. for the night of the tumbleweed Christmas tree. ornaments of tinfoil scraps and buttons on a string. it was the prettiest tumbleweed that I’d ever seen. settin’ on a sofa on the duct-tape Naugahyde. she laughed until she cried. about just what Christmas means. and it means a tumbleweed can make a Christmas tree. And so it is. “Making do” isn’t the worst thing in the world, and sometimes it’s the best. Merry Christmas from Texas, and a happy New Year to you all. I love this post! When I lived in northern MN an evergreen of some kind was always what people had. When I lived in south LA, transported evergreens were what most people have. Now that I live in New Mexico, an agave stem is the norm. I love the tumbleweed tree. That would do well here also. Had I not seen the agave in Goliad, Kim, it never would have occurred to me that they could be used as Christmas trees. It tickles me that you say they’re common there in NM. Of course, I’d never seen a bloom stalk until a couple of years ago, when a friend had one develop in her front yard in South Carolina. There are some beautiful agaves around here, but none has seen fit to bloom. Here on the coast, palms often get decorated, although light-wrapped trunks are most common. The palm fronds can be just as difficult to deal with as those semi-lethal agaves. People do make do, though, and it often increases the fun. When I decorate my tree now, I add a poinsettia made of crawfish tails and a gar scale snowflake. The woman who made them got some income, and I have tokens of a bayou Christmas. What could be better? Very interesting. I enjoyed reading about the cedars. I had to go with my dad each Christmas to help choose a nice cedar tree. I love the smell of those trees. The tumbleweed tree is a nice one. Folks have a way of making things work. I went with my dad to pick out trees, too, although we went to Christmas tree lots rather than to the country. You’re right that there’s nothing like the fragrance of a freshly-cut tree. No matter what the candle-makers and potpourri hawkers say, they can’t replicate it. The tumbleweed I brought back from Kansas is high atop a cabinet, where it’s safe from the cat. I took a look at it while I was writing this, and decided it looked a little forlorn, so I hung tiny glass stars and balls from it. Now, it matches the red dogwood stems I brought back from Minnesota, which is hung with stars, too. Bare branches and spare decorations are the best. Merry Christmas, Yvonne. Here’s to 2016, and all the good things it will bring. Thank you. Linda. Here’s wishing you many great stories to write that inspire and ignite. Such a variety of trees and all lovely. Is the tumbleweed tree at your home? This year, I have folded a small Christmas tree from a recycled magazine. For my mother I made a tiny Christmas tree from pipe cleaners. Our ‘making do’ creativity at Christmas reflects the ‘making do’ of the original Christmas. Humph. WordPress substituted my image file for the link to the original image. I changed the settings, so now you can see where I found the tumbleweed tree. It amuses me that it’s on a page meant for people with RVs: people rolling through the countryside as surely as the weeds. So, no: the pictured tumbleweed isn’t mine, but I do have some decorations on the one I brought home. No lights or tinsel, just a few dangling stars. I don’t know how long a tumbleweed lasts, but I hung those stars carefully. I’d hate for it to dissolve into a pile of dust. I vaguely remember doing something tree-like with pages from the Sears catalog, but I’ve not thought of paper trees in years. I’ll not be making one, but I did see these pine cone trees, and was impressed. I have a bag of big pine cones I scavaged from one of our marinas when the first strong front arrived. I just might try a few — or at least save the instructions for next year. The pine cone Christmas trees are charming. I am feeling quite excited about what I may try next Christmas…..hmmmm….will my enthusiasm last a year? While living in WA we had an enormous fir tree which reached over 16′ to the ceiling of our barn. Besides extra large ornaments, I made a number of life-sized elves which sat in the branches and generally made mischief. We have relatives who still remember it as their best. The tree is long gone, but the elves still pop out in my daughter’s home each Christmas. I can imagine the family would remember a tree big enough to support life-sized elves. What fun that must have been — and what a delight it must be to know the elves still are a part of your celebrations. There’s no better phrase, when famlies gather, than, “Remember the Christmas when…?” All of us have those tales of Christmases past. Some are delightful, some not so much. But they’re touchstones, and the stories always get retold — or at least remembered. Merry Christmas, Kayti — to you and Dr. Advice. I’ll have to tell my grands this story. I don’t believe they’ve ever had a “real” Christmas tree of any sort, let alone a tumbleweed tree. Ha! Do you even think they know what a tumbleweed is? When we were kids, every kid knew because of all those westerns on television. Well, I’m going to find out. Even if they do know, I bet they don’t know that anyone ever had a tumbleweed Christmas tree. I sure didn’t. Have a wonderful Christmas, Linda. Growing up with all those westerns made me, too, think of tumbleweeds as an essential part of the Wild West. It came as quite a surprise decades later when I leaned that tumbleweeds are native to Eurasia, and another name for the plant is Russian thistle. Only a few weeks ago, when I was in west Texas, did I find out that a young tumbleweed has attractive little flowers. It wasn’t until my trip to Kansas two years ago that I learned the tumbleweed is Russian thistle. I’ve never seen a photo of their flowers, so thanks for adding that. To be honest, I never thought about them having flowers, even though I know they disperse their seeds by tumbling, and seeds certainly imply flowers. I found another photo that suggests rangeland covered with blooming tumbleweed could be impressive. It’s something else to add to the list. I posted this short film called “Tumbleweed! once before, but I just watched it again, and found it even more entertaining. It was fun to be able to identify plants other than the tumbleweed this time, too. You may have seen it, but if not, I think you’d get a kick out of it. That’s quite a tale. The maker has a good imagination. One incongruity is that the town of Alacrity is said to be in the southern part of north Texas, but we see lots of saguaros, which I believe don’t grow farther east than Arizona. I hadn’t seen tumbleweed flowers till my trip to Fort Davis last month. I didn’t know what they were, but a botany professor at Sul Ross identified them for me. It wasn’t just the TV westerns for us, Bella. Every noon, we’d listen to the market reports on WHO radio out of Des Moines (soybean yeilds! pork belly futures!) and enjoy a little music on the side. In those days, the Sons of the Pioneers were quite the thing, and their “Tumblin’ Tumbleweeds” was a song everyone knew, and frequently sang. I’ll look forward to your report. If any of the grands need a tumbleweed for a class project, we can get one to you. In the meantime — a Merry Christmas to you all. What an appropriate post for today. Growing up in Michigan I never gave much thought to what kinds of trees other places use. The tumbleweed and stalk trees are quite interesting and somewhat amusing. Where I live now there are Christmas tree farms everywhere. I can’t leave the house without driving past perfectly shaped trees by the acres. Can you believe people actually put candles on trees back in the day! I have some of those candle holders and they look so dangerous. The trees might have been fresher but they’d still burn. What on earth where they thinking? I agree, Jean. Those tumbleweed and agave trees are amusing, in the best sense of the word. They’re creative, and unexpected, and fun. In short, they fit right into the caategory of Christmas traditions worth preserving. The fact that they’re not perfect is part of their charm. I remember the days when deciding how to display a tree was a big deal. You always wanted the least perfect side turned to the corner, or pushed against the wall. We never drilled the trunk and rearranged branches to fill gaps, but some people did. I remember candles on my Swedish grandparents’ tree, although the memory is dim. I don’t know whether it was the appearance of grandchidren or the fire marshall that put a stop to it, but it surely was beautiful. Of course, we celebrated Santa Lucia, too, and I suspect the lighted candles in the wreaths we wore in our hair were more dangerous than a candle-lit tree. In any event, no one ever was burned during our celebrations, and it surely was fun. I hope your Christmas is a good one, too. I’m sure it’s a little poignant — or perhaps a lot — but life goes on, and so do we. Thank you dear Linda, as always, as all the year long how you shared with us all these beautiful stories, I enjoyed so much. Texas where I know because of the American films but now, Texas where I know because of my beautiful writer, blogger friend, dear Linda. Thank you so much dear Linda, you are one of my beautiful blogger friends. And I do believe if it would be possible we would be a real good friend in our real life too. It’s such a simple song, with a simple tune, and it is easy to learn. I’m glad you like it, Nia, and I’m glad you sang along. In a way, this is one thing blogging gives us: a chance to sing along with one another, in new ways. Decorating trees is such an old and widespread practice. Long before the Christmas tree, greens were part of the solstice celebration, and now you’ve taught me about Turkish New Year’s trees. I had no idea they existed, or that Russians have New Year’s trees, too. It’s funny to me that both atheists and believers of various sorts keep trying to replace or eliminate the tree, but the tree still is winning. This year is too soon, but by the time your grandchild is two, the tree will be a delight. It’s such pleasure to see traditions handed down, one generation to the next. You’re right: if I lived in your neighborhood, we would be real life friends, and you could show me as many photos of the new baby as you liked! Hear, hear to your conclusion, with wishes of all the same back to you! Grandma used to say, “So soon old, so late smart.” I’d say we’re both beating the odds. Merry Christmas to you all — I hope it’s your best ever. Beautifully said and wonderful sentiments. Warm wishes to you and yours Linda for a peaceful holiday. Thank you so much, Martha. We’ll all hungry for peace, and perhaps this will be a year when peace, simplicity, and grace begin to manifest themselves in a new way. Best wishes to you. Yep, I agree with the guy who wrote the lyrics of the tumbleweed song. Money doesn’t guarantee happiness. This is the first time I’ve heard of a Christmas tree made out of a tumbleweed, but I guess that if the will is there, anything is possible. True to your nature, you are able to create beauty in just about anything. Words, photographs, poems and many other creative achievements. You were born with a fertile mind, and I as an avid follower of your work, am honored to have known you many years ago. One more year is gone, but the memories remain. Merry Christmas from Panama, a narrow strip of land in the middle of the world. Speaking of anything being possible, Omar, look at these unusually decorated agaves. There’s not even a need to wait for a bloom stalk before adding a little Christmas spirit to the garden. I think I remember this type of plant around your house. Perhaps this could be a fun project for next Christmas. However fertile my mind is, or isn’t, I like thinking of our minds as metaphorical gardens. A good harvest requires breaking ground; choosing good seed; being willing to take on the hard task of weeding. Even composting is important. Every scrap of experience is worth throwing on the pile. At the end of the process, it may not be recognizable, but it nurtures. In any event, another year’s gone, and another is to come. There’s no telling what new directions either of us will take, but it will be fun to see where we land. Christmas blessings to you all — especially the Twisters, who’ll be having a fine time come tomorrow. Thanks, Melanie. My best to you and Jim, too. It will be fun to see what new directions we take in this new year. My favorite Christmas memories are of spending Christmas eve stringing popcorn and cranberries into garlands for the tree. Those who were not occupied with that (there were thirteen of us) baked cookies as ornaments. After Christmas, we carried the tree intact into the backyard for the birds to feed on the decorations. Cranberries and popcorn? Check. Paper chains and paper snowflakes? Check. Real tin icicles? Check. Big, fat, bulbs with aluminum reflectors and bubble lights that put mini-LEDs to shame? Check. We never took the tree to the yard for the birds, but the decorations went out and were draped over the bushes and from the cherry tree limbs. We might have done the same with the cookies, but there never were any left. Merry Christmas to you, too. And truth be told — with what’s headed for the Panhandle, I’d have a better chance of getting to snow than to sugar sand. South Padre’s nice, but it’s not that nice. I have made Christmas “trees” out of this and that on occasion. Nearly preferring them to real trees. But it’s the essence, after all. A simple shrub on a dark starry night can be a million times more beautiful. All in the beholder. Honestly, I do get awfully tired of simple, perfect trees being smothered in decorative stuff. But, again, traditions, preferences. Fun post. Good photos to make the point. Merry Christmas to you and Dixie! I’m with you on the perfect trees, Martha. Cookie cutters are for cookies, and tree fashions leave me cold. I just can’t get with the “let’s do a lavender tree this year” school of thought. I keep thinking a post on my tree’s decorations would be nice, because each of them is rooted in a place, a memory. Maybe next year. I’ve never been much for outdoor decorations, but when I lived aboard, I did string lights on the outside of the boat. I loved seeing the reflections in the water. Several boats in my marina are decorated now, and it’s lovely — even in the fog. Will you be able to see the full Christmas moon? I’m not very optimistic. It stayed foggy all day,and still is cloudy. We’ll see what the morning brings. One thing’s for sure — it will bring Christmas. Sad thing about the moon and me. I used to love it, see it as a companion in my window, wrote poetry about it. These days I shut it out with blinds and curse its cold intrusive stare. Yes, very sad. I am hoping that will change sometime soon. Love the song lyrics and wonder if he’s the original author of this phrase: “too poor to pay attention”? The poor fur trappers and bayou folks made do, as well. While we have our own share of the Christmas trees in the marsh, albeit the kind that regulates flow of petroleum, there is a native that graced trappers’ cabins during the season, the possum haw, and I wrote a bit about that tradition at the bottom of my Dec. piece for Country Roads Magazine. I wondered while I was writing this what might have been the traditional make-do there in the bayous, and of course possumhaw would have done the trick. It’s so beautiful. I’ve never thought for one minute about why red and green became traditional Christmas colors, but now it seems obvious that nature was the source. The old world example that comes to mind is holly: green leaves and red berries. Your piece is nice. When I lived in Liberia, there were native poinsettias around the house — growing as tall as the windows, and providing a little red to go with the surrounding green. Merry Christmas, and best wishes for the new year. It’s going to be an exciting one, no doubt. Eve says that in the Philippines they also use century plant stalks as Christmas trees, attaching cotton to them to make tropical snow. I’ve never seen cotton used, but the mention did bring to mind that spun fiberglass snow that was all the rage at one time: either just before or just after those ghastly aluminum trees that came with a spotlight and a color wheel to fancy them up. Merry Christmas to you and Eve. As warm and foggy as it is, it might as well be the Philippines. I hate cedar and pine Christmas trees – constantly sneezing from them. Cutting them down wasn’t as picturesque in red sandy fields. But I do have some of those cornhusk angels…surprising how long they last. I’ve always been fond of Charlie Brown’s little tree, even when I used to see multiple versions lined up in rows on the shelves at Walgreens. But as you say, the tree is secondary. For the real story, Luke 2 still is a pretty good source. It won’t be long until we’re into cedar-fever season. I see there’s a good cold snap and a north wind projected for the medium future. That ought to do it. I don’t have much trouble with allergies, but cedar affects me, and I’m always glad to get past that part of the cycle. I didn’t see the snow event. I didn’t even know it was happening. The only one I heard about was in town, in the Westchase District. They’re always fun — although it would be even more fun to have a repeat of the 2004 Christmas eve snow. Did you ever see the HEB books published about that event? Mom got me the first one for Christmas the next year, and I still look through it from time to time. Wishing you equal magic this holiday season, whatever the form it takes. well, yes, making do is always the best. I remember going to the christmas tree lot as a kid to help select the tree. back then the trees were all staked out on the big lot like a miniature forest, or so it seemed to me then, and we would run around and through them looking for the best tree, one with no holes or misshapen branches or crooked trunks. it was a highlight of the season. nowadays though, you just go to the grocery store or nursery and pick any one as they are all identical, shaped and pruned and groomed from saplings to be that perfectly unnatural cone shape with branches bluntly cut to conform. yuck. I stopped purchasing live trees about twenty years ago, so I had no idea that the increasingly perfect shapes I saw were, shall we say, encouraged. You’re right that Christmas trees used to look like trees, and their imperfections were part of their charm. I could start muttering about certain similarities between uniform, mass-produced trees and a society that encourages a bland uniformity, but that wouldn’t be much in the spirit of the season, now would it? I have a perfectly delightful artificial tree that I purchased years ago at a place that’s no longer in business: the Texas General Store in Seabrook. The tree is about five feet tall, skinny, and has two trunks. It looks for all the world like a young cedar, which is precisely why I bought it. Every time I put it up, I smile. I hope the season brings you some smiles, too, and a happy turning of the year. We had an artificial tree when we lived in Texas, Linda. Something about pines that doesn’t agree with my allergies (and it took a while to figure that out!) I have to commend Texans on their originality, though — who, in my present neck of the woods, would even consider an agave or a tumbleweed for Christmas??! Loved the oilfield Christmas tree, too. I used to live in the Permian Basin region of Texas and my late father was a geologist, so I’m very familiar with those things. You did a great job explaining them, too! Wonderful song, wonderfully sung. Yes, at this time of year, it’s especially important for us to remember that Christmas isn’t about money. Hope your Christmas is simply lovely in every way! Well, you’re a little short on agave and tumbleweed up there, Debbie, so it makes sense that you’d not see them as decorations — unless someone bought a tumbleweed from the Kansas woman who makes a living selling them online. I knew that someone would know and appreciate the oilfield Christmas tree, but I never expected it would be you. The Permian Basin’s such an interesting area, geologically and otherwise, and not as much of a horror as some people think. It must have been interesting to live there. I like Christmas songs that are a little different, and this is a good one. Some songs, both carols and popular music, are so familiar we don’t really hear them. It’s nice to have one that reflects on Christmas with a good tune and a beat. Enjoy your day with Domer and Dallas — and whoever else happens to be around. I read a blog this week from scientists who are making a 2300 km trek from the Antarctic coast to an inland summer base called Concordia. They offered Christmas Greetings. Yes, we make do with what we have. I think that is a key to happiness. Always wishing for something not present leads to sadness. Merry Christmas. Look for the full moon. It was foggy and cloudy last night, and it’s foggy and cloudy now, but at 4:10 a.m., I can report that the full moon was shining brightly, amidst scudding clouds. Why I woke up, I don’t know, but I got up, took a look, said, “Goodnight, moon,” and went back to bed. That’s an interesting trek you highlighted. It reminded me of an arctic trip a blogging friend’s husband took with one of his friends, and assorted dogs. They had to call it off eventually, because of bad ice and other conditions, but that didn’t lessen the sense of adventure one bit. Foggy and clouds at 28 deg. I saw a hazy full moon before midnight. Truth to tell, I think the tumbleweed’s related to treasures you find at the playamart, Lisa. Merry Christmas to you, with your head, heart, and feet in the clouds. I wish Santa could bring you a perfect and swift internet connection, but I fear some things are beyond even him. Feliz Navidad, and best wishes for a healthy and creative New Year. What a delightful song! Thanks for this. We were just going through some of my wife’s family decorations the other day and came upon the silver candle holders for Christmas trees of old. She is of Danish extraction, and in her mother’s childhood after Christmas eve service, all would dance around the lit tree – with men and buckets of water near at hand. Christmas trees are a gift indeed. For the second year in a row, a campus club sold miniature trees, and so I have had one in my office. Even a small tree (3 feet high) can fill the room of an office with the lovely smell of forest life. It is, indeed, a lovely time of year, and so a most Merry Christmas to you, and a blessed year ahead! Dancing around the Christmas tree, candlelit or not, must be a custom across Scandinavia. The Swedes did it — do it — too, and it’s such fun. The two songs my grandmother taught me to sing in Swedish were her favorite hymn (“How Great Thou Art”) and a song for Christmas-tree dancing. I’ve lost both of them now, of course. But here’s a delightful scene showing a celebration in Sweden. There’s a reason so many northern nurseries and garden centers make a whopping profit from shipped swags and wreaths. Even those will provide enough of that lovely scent to make it seem truly like Christmas. As with autumn leaves, I’ve learned to appreciate different decorations in my adopted home, but there’s something primal about our responses to our first environments. There’s a reason so many people dream of a white Christmas. Merry Christmas to you, too. Here’s to a year filled with song, and perhaps even a little dance. Thanks and a Merry 12 days to you too! Thanks also for the video. Our dancing was always in the living room, and smaller in size. How fun to see it communally. The songs we sang were church-related and simple folk songs. Who knows, we might start up the tradition again if there are little ones around? I remember many tumbleweed Christmas trees in Arizona way back when and always enjoyed seeing them. I don’t think about you in Arizona, Terry, but it’s fun now to think of you living there, and experiencing some things I’m just discovering! Merry Christmas to you, and best wishes for the coming year. I’m anxous to see what new delights you have for you — and which familiar friends you’ll offer up for us to see. One thing’s for sure: we’ll never run out of subjects. Thank you for your greetings, Cheri. It’s a lovely time of year, filled with the light of several traditions. That song is one of my favorites. The Sons of the Pioneers (featuring Roy Rogers, before he became Roy Rogers instead of Leonard Slye) used to appear on the noon market reports broadcast on WHO from Des Moines. That’s where I learned the song, and I always sang along. Every now and then, on the right kind of highway, I’ll even sing (most of it) from memory. Here’s to a New Year filled with singing. Linda, did you ever string popcorn for Christmas tree decor? I remember the paper link chains too. That was fun to do. My little ones would probably love that gluey idea. They love paste! They will be here Saturday. Maybe we will try it. My mom made paste out of flour and water. Was there something else? I’ll check google. Thanks for pulling up the memories. It is after 1:00 a.m. so I’m saying my first Merry Christmas to you on this Christmas Day. We did string popcorn. There are two important things to remember: first, don’t add butter, and, second, pop it a few days before stringing, so it gets a little stale and doesn’t crumble so easily. Another fun decoration was beads made from paper and glue. Cut long triangles of paper (magazines are good), and then roll them up from the long end, around something like a matchstick. This is a project best started in early November, as it takes some time, and can get boring if you want to string really long chains. Merry Christmas to you and yours. Have fun on Saturday. Merry Christmas to you and Dixie from me and Jaks. Many thanks, WOL. I know you’ll enjoy the day. If I was closer, I’d bring y’all some of my pecan pie. As it is, I’ll just send along some greetings, and best wishes for the New Year. Oh. And some tunes done up right. Merry Christmas! I’m late in replying but I saved this in the rush of time to enjoy. I loved the tumbleweed Christmas song. That’s what you call Texas ingenuity! The cookies are almost gone here, the presents unwrapped. My son gave me a pastry cloth. No doubt, my baking days are not over! You’re not late, Janet. There are Twelve Days of Christmas to enjoy, and some of us hope to maintain the spirit a little longer than that. The tumbleweed song’s a good one. I love the grit and determination of people who rarely are noticed, and often are ridiculed. The people of WalMart are people, after all, and truth doesn’t have to be phrased grammatically to be truth. I’ll gawk at the annual Saks light show as eagerly as anyone, but if it comes to a forced choice? I’ll take the tumbleweeds. I’d call that pastry cloth a hint, for sure. Merry Christmas, and happy baking. Which just goes to show that anything at all can serve the holiday spirit in the right hands. Happy holidays! Thanks, Susan. I trust your days are being merry and bright, if a little warm. I’ve heard of people who get through the holidays with only two rules: if it moves, feed it, and if it doesn’t, decorate it. I’m not sure where that leaves the tumbleweed, but I’ll have another cookie while I think about it. The agaves are wonderful. You’ll be meeting a couple more of them in the near future. I can’t believe that you say you have “several very handsome specimens” so casually. There are many healthy plants here, but we simply don’t see the stalks. There’s probably a reason — it may be that our wet conditions somehow affect them. Or, I may not have been paying attention: although it seems like an agave bloom stalk would be hard to miss. Christmas is Christmas, no matter the nature of the tree, or even the nature of the critters gathered around it. I’m glad you enjoyed it — isn’t the song fun? I’m not sure it would have fit in the carol service you attended, but it fits out in the flatlands — and is meant for everyone. Here’s to a wonderful New Year for us all. Back in Holland before migration to Australia in 1956, we always had a spruce tree that my dad decorated with all sorts of silvery things. He would make fondant sweets almond essence infused, which would also be hung from the tree. The spruce was dense and sometimes a few weeks after Christmas, when the tree was finally discarded, we would still find one of those sweets..
We also had real candles clipped on the branches. One daya candle set alight the tree that had dried out and gone brown. My dad was there and without a word, opened the window wide and hurled the tree ouside which landed two stories down in the neighbors chicken coop. The chickens were so surprised to find a smoking tree amongst themselves. Your mention of almond remimds me of almond paste, which reminds me of another Christmas tradition: what we called Dutch letters (pastries in the shape of a “S” filled with almond paste), Speculaas, and Stroopwaffles. I grew up only a half hour from a wonderful Dutch town in Iowa called Pella. Lucky for me, the Jaarsma bakery has kept up with the times, so online ordering is a possiblity, and once a year I treat myself to that bit of home. I’m rather fond of smoked chicken, but I think there might be easier ways to get some. That’s a wonderful and terrible story — but people seemed less given to hang-wringing back in the day. Problem? Open the window and solve it! We always had artificial trees and that is really interesting what you say about the tumbleweed because I had no idea. The ‘Norfolk Pine’ craze has made it all the way to P.R. through warehouse stores which we have (Costco and Sam’s) which market the baby trees to us. However, the Norfolk Pine is quite a resident here, and I doubt it was Costco or Sam’s that brought them here. Whoever did or however they got here, they are right at home since Norfolk Pines come from Norfolk Island, a Pacific island with “marine subtropical climate”, and P.R. is “marine tropical”, so although they are still “subtropical”, they are right at home in “tropical”. I don’t know whoever started the “Norfolk Pine” craze because for me, the tree is only beautiful when full grown. We have full-grown naturalized trees and they are indeed majestic, sub-tropical coniferous. They are not invasive either, so there are only a few here. I just read that he first European known to have sighted Norfolk Island was Captain James Cook. In 1774 on his second voyage to the South Pacific he tried to develop a timber industry with them, but to no avail, as the wood is simply not suitable. Then in the late 1950’s a shipment of Norfolk pine logs was sent to plywood manufacturers in Sydney, Australia, with hopes to develop a timber export industry on Norfolk Island. Although the plywood companies reported excellent results, the industry was deemed not sustainable by the Norfolk Island Council, who decided to reserve timber production for local use. This means this pine grows in smaller numbers and take longer to grow, although Florida is known to cultivate them, the tree is in ‘Vulnerable’ status, according to the IUCN 3.1 report, which is from this year. Florida’s cultivars are the ones sent as young trees to be sold at Costco or Sam’s. What pity that a non-native tree such as Araucaria heterophylla (Norfolk Pine) is being commercially exploited just to contribute to Christmas economy (all around the world) when this is a tree that is known to be in “vulnerable” status, according to the IUCN (International Union for Conservation of Nature). Moreover, this is an example of an unsustainable industry, affecting Norfolk Island, IMOHO. All of this is very interesting. Of course I’ve seen the small trees, marketed for Christmas. They’re usually tucked next to rosemary bushes, which are another favored gift. I never would have imagined them being vulnerable, though, because they’re quite common here — not the small ones, but large ones, many two stories tall. They’re especially common on Galveston Island. Here’s a photo of one. They aren’t confined to the coast, either. While they certainly aren’t as common inland, the largest one I’ve ever seen in Texas is in Center Point, near Kerrville. I wish I had a photo of it. I’m a bad judge of height, but it towers above the one-story house it’s next to, and probably would be as tall or even taller than a two-story house. It’s huge. They’re quite common in certain subdivisions here, too. People love them for that symmetrical shape. Something else I remember reading is that the ones in Galveston survived Ike better than the live oaks, because they can tolerate a saltier soil. That was a huge problem after Ike, but the Norfolks didn’t seem particularly troubled. At least, the ones I was used to seeing still are there. I’ve noticed sometimes the IUCN (the International Union for Conservation of Nature) gives reports of species pertaining only to the country of origin, not on other countries. For example, the Cara Cara bird of prey is on a “red list by the IUCN” that it is facing extinction in Florida, yet in Mexico they continue to thrive. The same with Poinciana trees. They are on the verge of extinction in Madagascar (where they come from), but are thriving everywhere else. So, these IUCN reports apparently go by the countries of origin of the species when they give out their announcements. It’s interesting that you mention the Caracara. Over the Thanksgiving holiday, they were thick in south central Texas. What I didn’t know at the time is that the highest concentration of the birds in the U.S. is precisely where we were spending our time. They’re also called Mexican eagles. There’s a nice, short article about them here. Yes, that’s what I meant about the IUCN lists are sometimes confusing. They say the Caracara is facing extinction in Florida, when the bird is actually thriving in Texas & Mexico. Oh well. According to the IUCN, the caracara are of “Least Concern” because they are more global with their lists. The USFWS, however, is specific to the U.S.. I trust the IUCN more for scientific validity, however, the USFWS is correct in saying that the caracara was much more numerous at some point in the U.S..
Oh that’s a beautiful Norfolk Pine! I’ve thought about doing a post on them, but as you say, they are so tall, not easy to photograph unless using a wide angle lens but then they come out distorted. We have an artificial tree now…just a three footer that sits on a table in our dining room. We had a few live ones early on but there were root-balled and planted in a pre-dug hole out in the yard. Do those oil field Christmas trees ever get decorated? I’ve never seen an oilfield “tree” decorated, Steve. I suspect if it happened, the decorations would be removed pretty quickly. 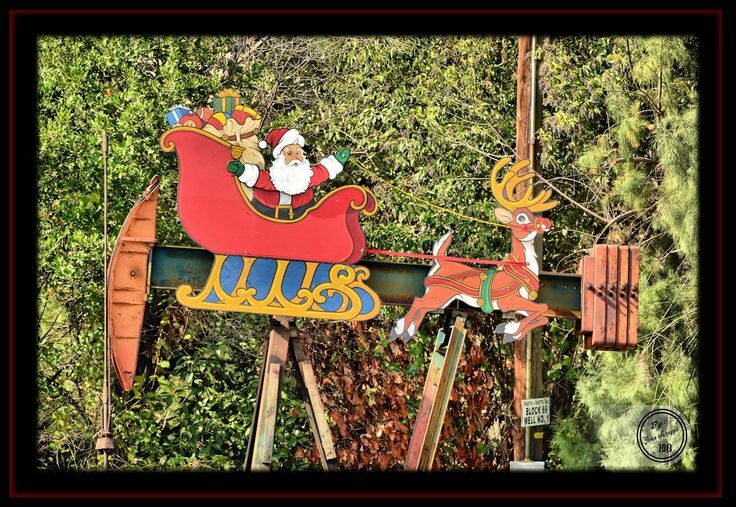 I have seen decorations of various sorts on pump jacks. Luling, Texas, is at least locally famous for some of their examples. We have Christmas tree farms in Texas, too, but many of the cut-your-own variety are multi-seasonal. They offer pumpkin patches and corn mazes in the fall, fruit picking in summer, and so on. I suppose there might be some larger ones, but it’s clearly your part of the country that’s a primary source. One use of discarded trees down here is rebuilding dunes and fish habitat. The state manuals on dune maintenance and repair list Christmas trees, along with seaweed and other brush, as acceptable ways to trap sand, and all around the country fishermen sink Christmas trees into lakes and ponds. As we like to say, what goes around, comes around. Thanks, Michelle. I’m glad it brightened your holiday season just a bit. What a fun post! Apart from being rather hard to hang things on, I think I’d like a cedar. They smell so good and are awfully pretty. The agave interested me, too. I think a Christmas tree is what you make it — whether it is Charlie Brown or Walmart, pine or just a group of pretty branches. Before I killed it, I decorated the Norfolk pine. What matters is that you find what works for you — teeny bottlebrush or seven-foot tall giant — and celebrate! I wonder if you’re thinking about aromatic cedars, rather than our cedar, which actually is an Ashe juniper. Ours don’t have much of a fragrance: at least, that I can tell. A lot of people down here are prejudiced against the cedar, because it pollinates around January, and it can wreak havor with allergy sufferers. Cedar fever is a real thing, and you wouldn’t want anything to do with it. You’re exacty right about the decorating and celebrating being the point, rather than the nature of the tree. My mother made one of those ceramic trees one year — a white one, about two feet tall — and when it is lighted up, it’s as pretty as any other tree. You can’t put ornaments on it, of course, but in a sense, the tree itself is the ornament. And, you don’t have to throw it out when Christmas is over! Well, now I’m not sure. I’ll have to look up pictures and compare. I remember your ceramic tree — yes, exactly! It IS the ornament itself! I’ve never seen a white one with red and green lights, Donita. That would be pretty, indeed! I brought a second tumbleweed home from Kansas a couple of weeks ago. I believe I’ll give it the same treatment, and put it outside my door — and think about you and your sister every time I see it.